If you think that DIY is cheaper way to go, you’re not totally wrong. The downside is the time and effort will, at some point, exhaust you till your head wants to explode and you just want to throw away all the half-done stuffs (no kidding). You’ll become very much clingy to your scissors, glue gun, puncher, double tape, etc etc. But if you ask me, if I could turnback time, I’d still chose the DIY way. Why? 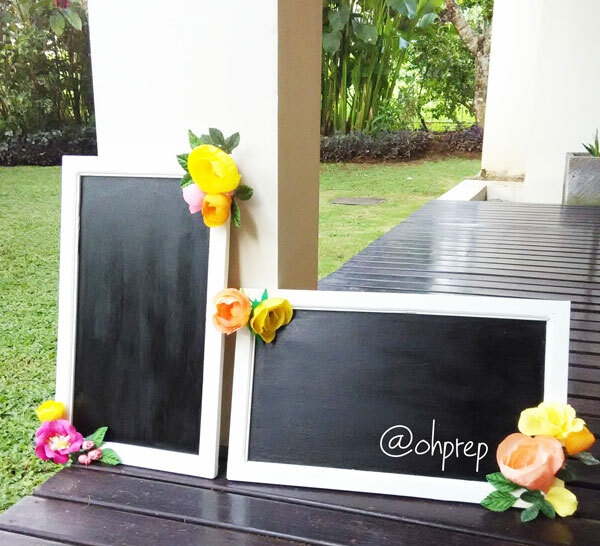 Because I had fun crafting everything and the time when we and our family and friends did the DIY and handcraft thingy is actually one of the best time during our wedding preparation. 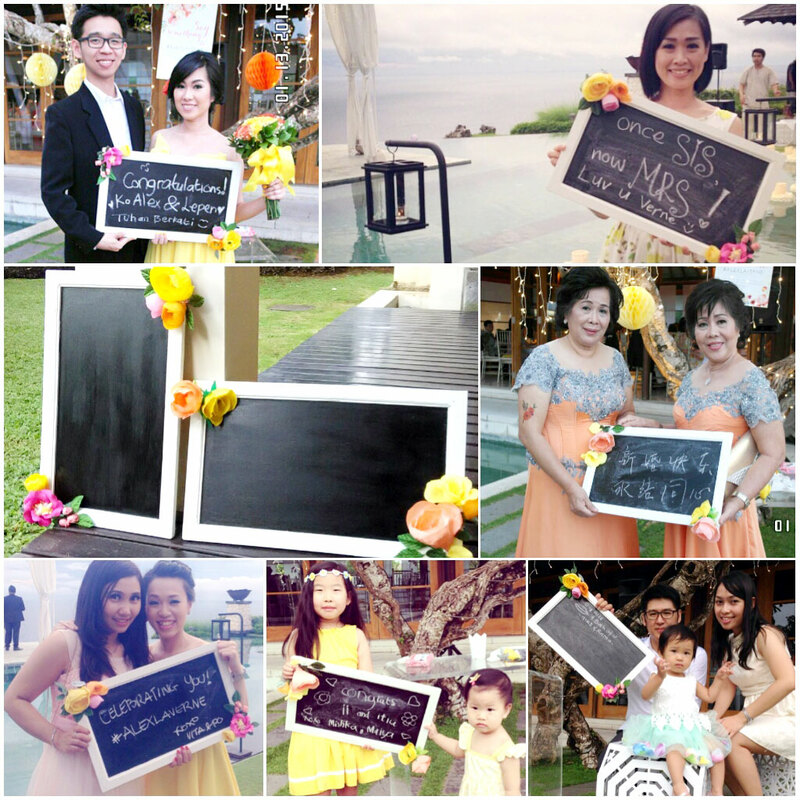 There’s also story in each and every wedding stuffs that create another indescribable joy whenever we saw it. Cheaper cost is another plus point too. 1. Look to the sky but keep your feet on the ground. After snooping around Pinterest, you probably have tons of ideas that you want to DIY. But, be still,my friend.. sit down and jot down all the ideas then match it with your timeline and venue. Do you have time to do it all? 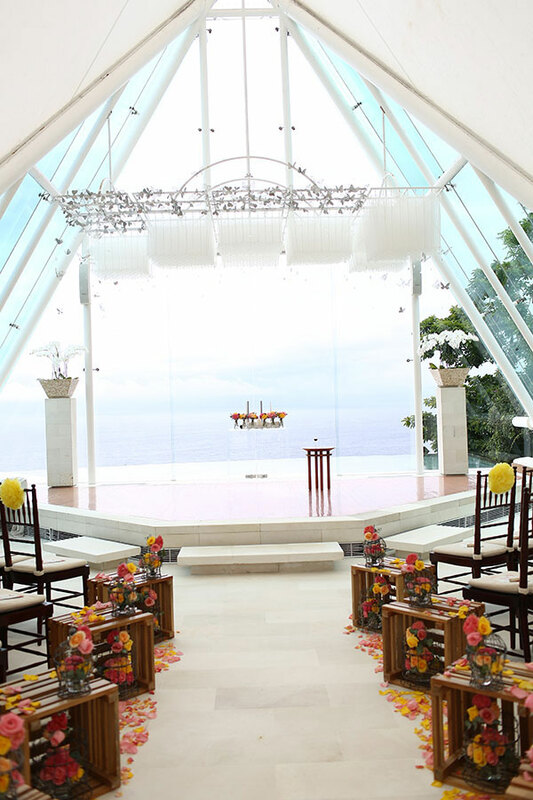 Is it possible to have it hung / done in your wedding venue? Tips. Start crafting only after your confirm the venue and date (+theme and color). Then create a final list of things to DIY and stick to it. Make sure it’s all done 1 month before D-day and don’t sacrifice your resting time. 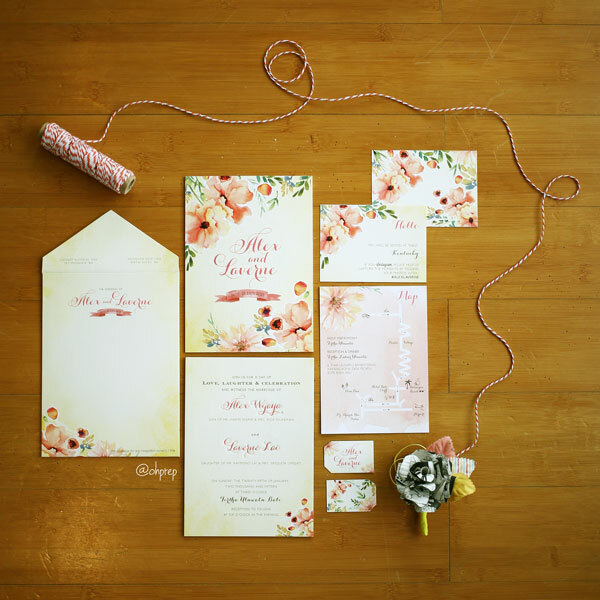 Your pretty and happy face will dominate the wedding photo album, not the hand-stitched banner or the handwritten place cards. 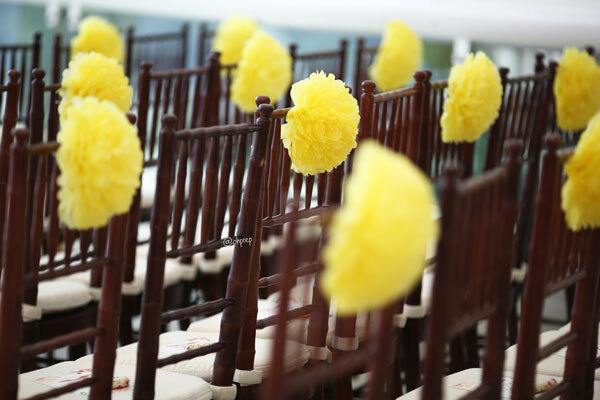 Having paper pompom as seating decor is one of my DIY wedding decisions. 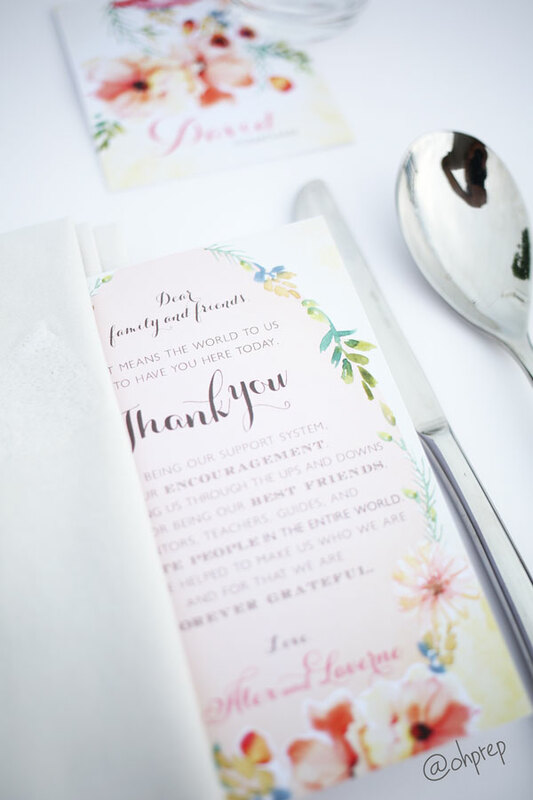 It’s easy to make and create a significant ambience that supports our wedding theme very well. Signage and some decoration in the photobooth. 2. Always remember the purpose. 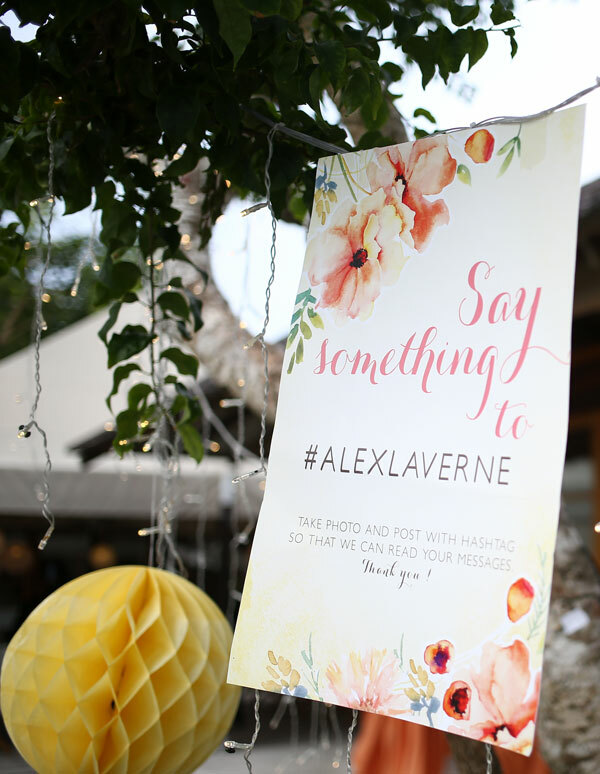 What is your main purpose in DIY-ing your wedding? Is it the budget? Is it your personal satisfaction in crafting and seeing all the wedding stuffs are made with love by you (and all the entourage)? Or you want to create more memories into your wedding preparation since it’s once in a lifetime? Whatever it is, always remember the purpose. It helps you keep going whent things get tough. For me, DIY allowed me to do things out of my gratitude to make people feel appreciated and cared about. That’s why I love DIY. Tips. If time is limited, pick things to do based on your main purpose. 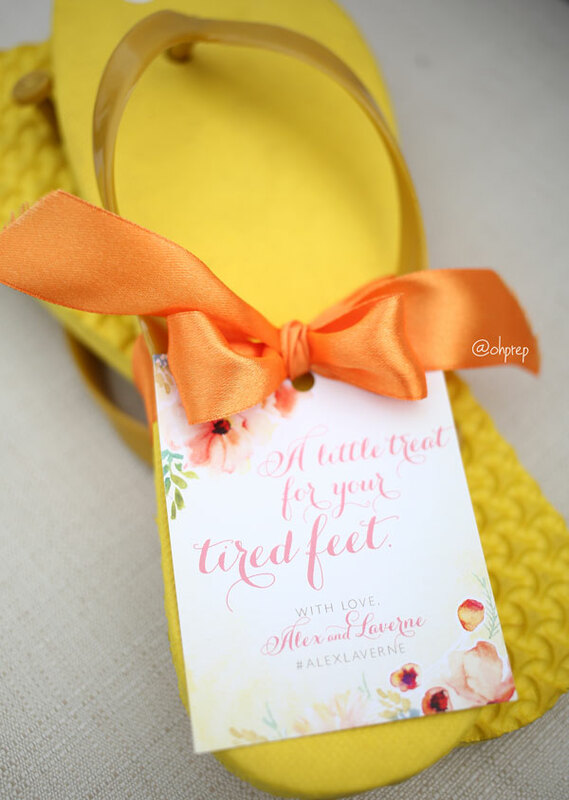 Since we have outdoor wedding reception, we want to make all the ladies guests walking around comfortably without ruining their pretty heels. That’s why we give flip flop with their sizes on each seats. Yes, you can’t do it alone. As crafty as you are and as much as you don’t want to bother anyone, you need help, before and on D day.If you look around, you will find a bunch of friends and family who try to offer their help. Tips. Cutting, folding, glueing are so much fun to do with more people. The more the merrier! Alex is a manga fanboy by heart. I’ve been wanting to create a boutonniere that portrays him and me in so many ways. 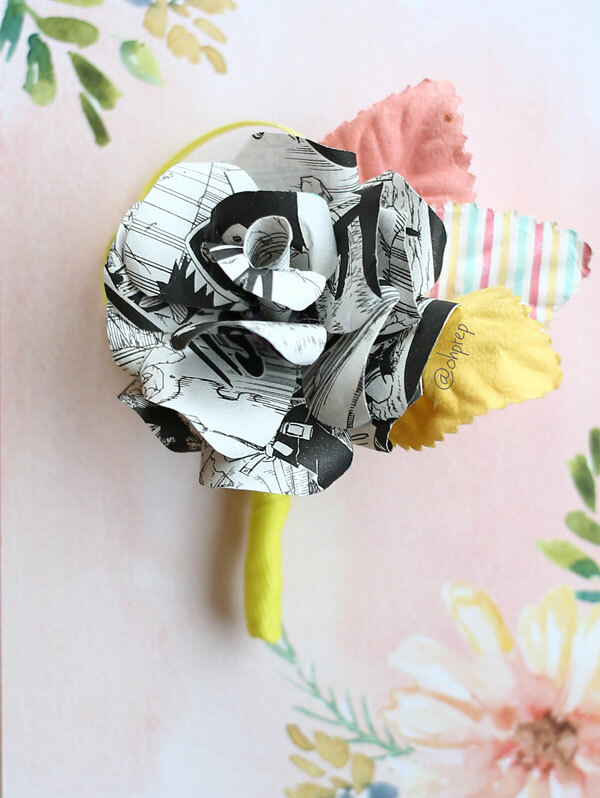 Then, we decided to have this paper flower boutonniere using his favorite Manga, Naruto. At that time, I just didn’t have the time to do this and my sister came to the rescue. Thanks to her, it turned out more beautiful than I could think of (or make). You plan to hand-draw all the watercolor flowers and hand-write all the calligraphy title by yourself, but in your heart you know that your skill is still so far from okay (story of me and my ambitious plan), maybe it’s time to seek for professional help. It’s said that you need 10.000 hours to master a skill. if you don’t have time, let’s find someone who already mastered it. Planned to master the watercolor and calligraphy skill but I must admit I’m still so far from okay. This watercolor flowers are combination of vectors that you may find in internet. My sister-in-law, the actual designer, had a very big part in helping me create this invitation. 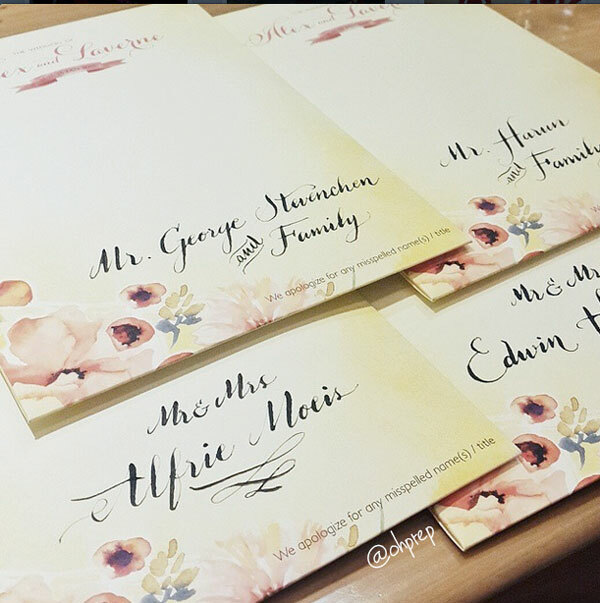 A calligrapher friend of mine agreed to help me to handwrite the invitation envelope. I also planned to decorate the aisle with paper flowers. Then my friends took me back into reality. The decision to hire professional florist to decorate the aisle is one of the best decisions. Pretty yet practical. I can’t imagine what would it be if I had to DIY all the aisle. 5. What you wear is important. Spare some time to think about what you and your partner will wear on D day that can add excitement to both of you. Tips. 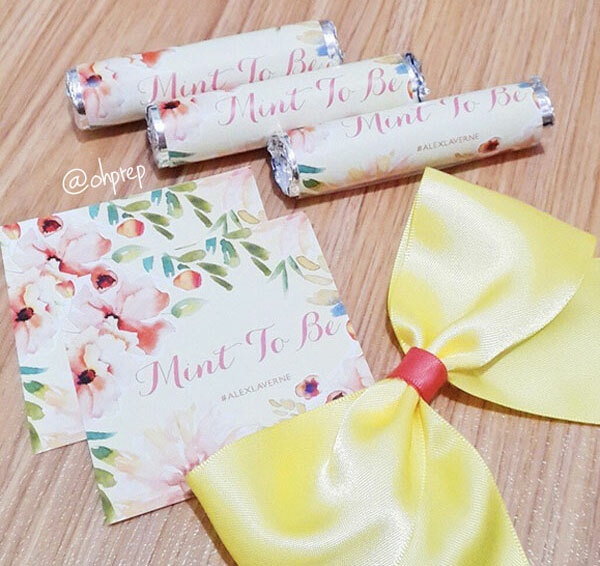 This cute stuff will take more parts in your wedding photos album than your DIY photo booth and wedding favor. It also gives the photographer more things to play around too. 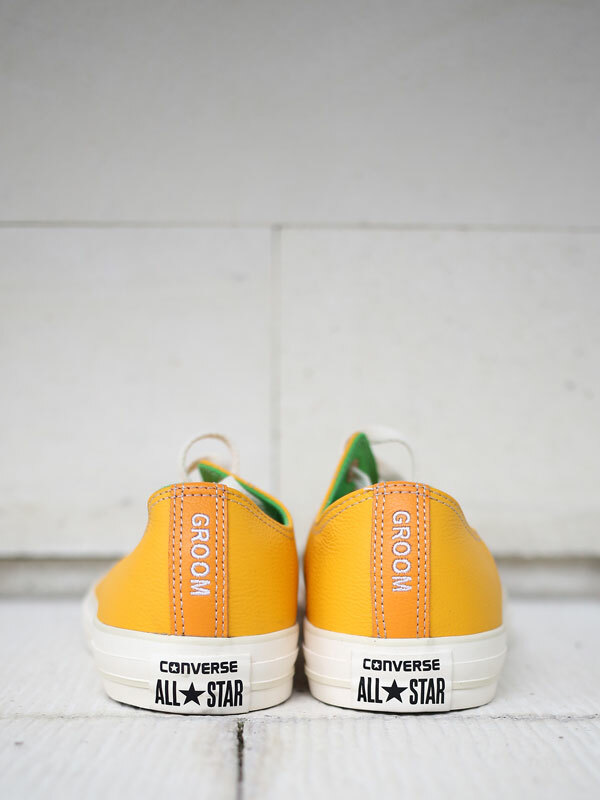 Don’t forget about your partner too 🙂 This shoes is from Converse Design Your Own It only accepts US Credit Card and ships only to US. So, back to point 3. Ask for a friend’s help. In a world and time like this, having a hashtag is the same as creating your photo album from different source of “photographers”. Plus point, you can see the photo album updated in real time. Don’t forget to introduce this hashtag and ask the guests to participate. Tips. As the king and queen of the day, you can’t go out and about, running around freely. You’ll wonder what happens outside. 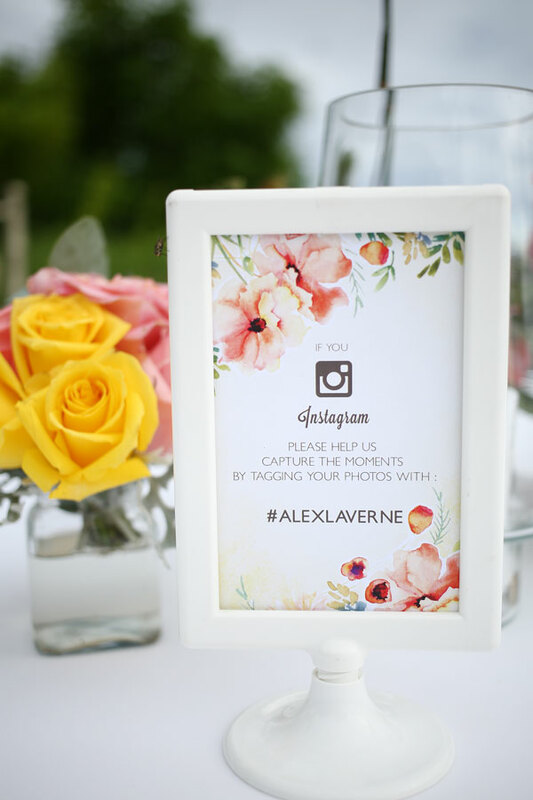 With hashtag, you can have the guests to be your journalists of the day and you can see your nuptial through the eyes of your guests. This is the most important lesson that I’ve learnt so far. This preparation time only comes once and it’s a waste to have this season filled only with frustration. Don’t force yourself out. Spend time with your partner and embrace this moment of your lifetime. A week before D day, focus on yourself. If there’s so many things haven’t been DIY-ed, ask for help or just let it go. At the end of the day, the most important thing is the celebration of your lifetime marriage to the love of your life. Tips. Though it has been carefully considered and thouroughly coordinated, a thing or two might don’t go as planned, it is okay… Focus on your joy and your newly wedded husband. And, the guest most probably won’t notice it anyway. Just smile and let your happiness shine through it. It will make you the most beautiful bride.